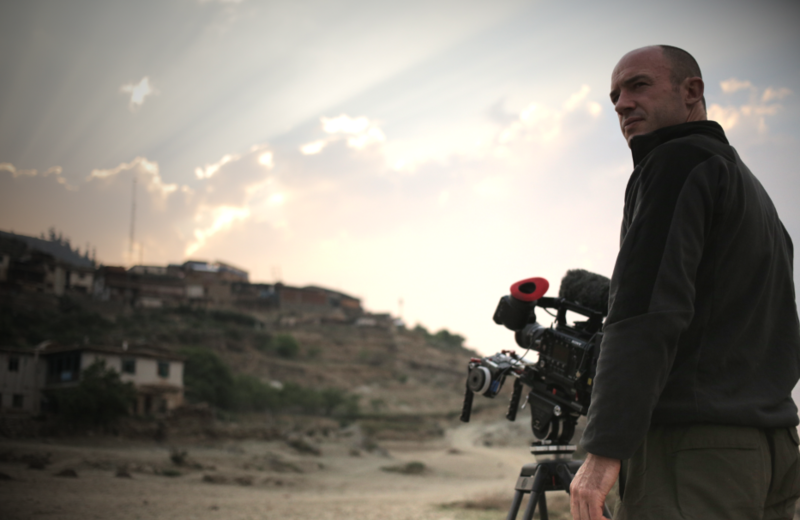 With a degree in Politics and an MA in Documentary Production, Charlie has spent the last 20 years documenting the most extraordinary places on earth for broadcasters including the BBC, Channel 4, ITV, NBC, Discovery and National Geographic. Trained as a lighting cameraman, Charlie has filmed a wide range of films from the Observational (Great Ormond St, Iceland:Life in the Freezer BBC2) to Arts (Shakespeare Uncovered, BBC4) and current affairs (numerous Panoramas and Dispatches) to Travel docs (Flying to the Edges of the World Ch 4, Escape from the Most Dangerous Place on Earth BBC3). Charlie has also captured many challenging and extraordinary adventures with Bear Grylls, including Bear Grylls Great Escapes (Discovery), Get Out Alive with Bear Grylls (NBC/Discovery), Running Wild With Bear Grylls (NBC) and Bear’s Wild Weekends with Jonathan Ross, Miranda Hart and Stephen Fry (Channel 4). His predilection for adventure has taken him across treacherous stretches of water aboard Bear Grylls’ 30ft dinghy to achieve the first unassisted crossing of the north Atlantic Arctic Ocean, in an open rigid inflatable boat. The team suffered weeks of frozen spray and icebergs, battling force 8 gale winds, hypothermia and storms to make the journey from Nova Scotia to Labrador, via Greenland and Iceland down to Scotland. Charlie has his own kit (including 4K camera, timelapse dolly) and has a BSAC Dive Leader/Padi Advanced. He has completed specialist courses in Sea Survival, Helicopter Dunker Training (Sea platform landings) and Hostile Environment Training.